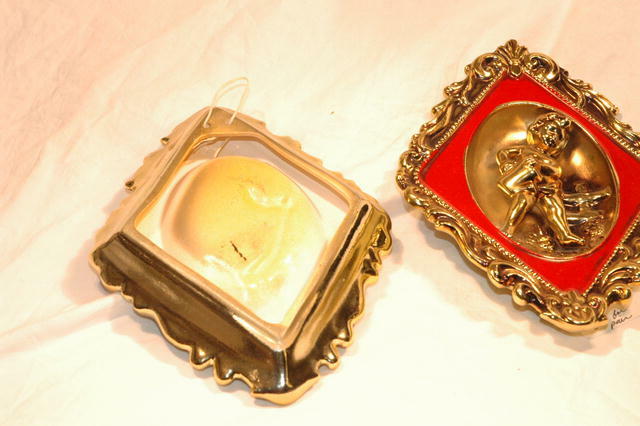 Cherub Wall Plaques. Pained Red and gold they are diamond shaped. They measure 7 1/4" x 5 1/2". 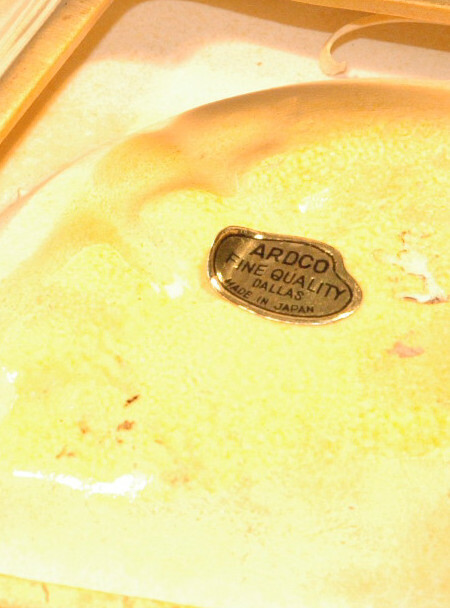 Made in Japan by ARDCO. 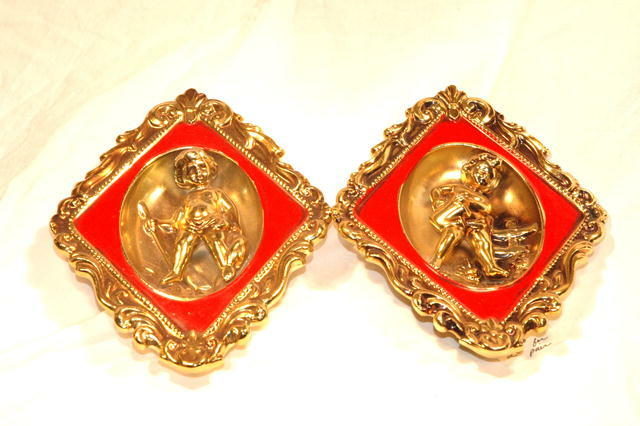 Items Similar To "Cherub Red & Gold Ceramic Wall Plaques by ARDCO ** PRICE REDUCTI..."